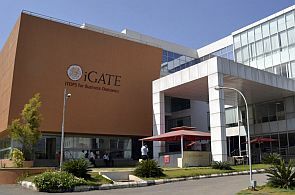 iGate Corp, the Nasdaq-listed information technology (IT) services company, on Thursday posted better-than-expected numbers for the quarter ended September 30, backed by impressive performance by some of its key verticals such as banking, financial services & insurance (BFSI), manufacturing and health care. The company also said both deal wins and the pipeline were quite positive, and it was expecting a sustained demand for the next few quarters. The California-headquartered company, which follows the similar offshore-centric delivery model as many Indian IT services firms, improved its net profit by 12.7 per cent to $31.9 million compared with the corresponding quarter in the year-ago period. The revenues at $293.4 million saw an increase of 8.2 per cent for the quarter, ahead of the street estimate. On a sequential quarter (when compared with the trailing quarter) basis, the net profit went up 6.3 per cent and revenue 3.6 per cent. The company also improved the gross margin by 160 basis points to 41.4 per cent and generated $86 million of operating cash during the quarter. Brushing aside concerns related to one of its large clients in Canada (read Royal Bank of Canada), Ashok Vemuri, the newly-appointed president and chief executive of iGate said the company continued to have a very active engagement with the client. Earlier, the company had come under scrutiny by the Canadian government following allegations that iGate was replacing the local staff of the bank with foreign workers. During the quarter under review, iGate added eight clients, including two Fortune 1000 clients. The company also said it was witnessing increasing traction in Europe, especially in France, Germany and countries in the Nordic region. “Our revenue share from Europe has increased due to ramp-ups in some of the large deals last quarters. We expect this trend to continue for the next couple of quarters,” Vemuri added. Vemuri said the company is expanding its delivery capabilities by opening up newer onshore and near-shore centres, and would spend around $120 million in pursuing the expansion plan in a phased manner. Among others, the company is opening up new delivery the US (Virginia), Canada (Halifax) and Sweden. Besides, the company is also adding to its existing delivery centre in Santa Clara, Florida. To expand its presence, Vemuri said the company would not go aggressively for acquisition opportunities. “My focus, at this point of time, will be organic growth and to come up to a particular speed and scale,” he said.